Mundan ceremony is one of the most important ceremonies in Hindu culture. The right age for mundan is the first or third year of a child’s life. It is shaving of baby’s hair which is believed to purify the baby. There is a proper mundan procedure that is stated in religious texts. Some people have it as a small ceremony but some organize a proper mundan function which involves rituals with complementing first tonsure ceremony ideas and mundan ceremony gifts for the guests. Just like the host shops for mundan ceremony return gifts using unique ideas, the guests also come with special gift items for Head Tonsuring ceremony for the little ones to bless them. Just like we have Baby Shower and Godh Bharai Gifts for Indian Mom, we also have mundan gifts for babies. Because it is an important ritual dressing your baby in a beautiful mundan dress is surely important. In this post, we have come up with some of the cutest mundan ceremony dresses which also make a wonderful and best mundan gift for the baby. 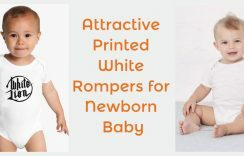 Make it a special day for your little baby boy with best of mundan ceremony dresses which include personalized baby bodysuits and onesies. 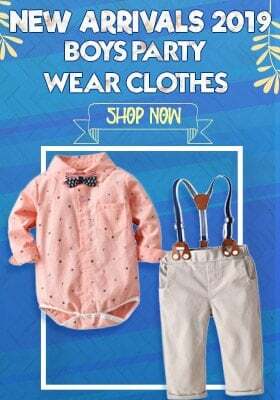 You can even have them dresses in adorable ethnic dresses for boys like cotton kurta pajamas or dhoti kurtas which perfectly complement the occasion. You can even pair these traditional outfits with sleeveless Modi jackets which are in vogue. Have her dressed lovely for mundan ceremony with cute and funny baby onesies. 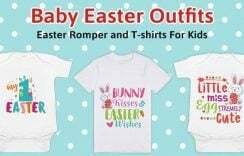 You can even go for custom baby rompers designed specially for the ritual. If you are looking for something ethnic then lehenga cholis, salwar kurtas make a lovely choice of clothing to grace this special occasion. They come in bright festive colours along with different patterns and styles that are evergreen. If you are going to a mundan ceremony then you can take along mundan gifts which promise utility. 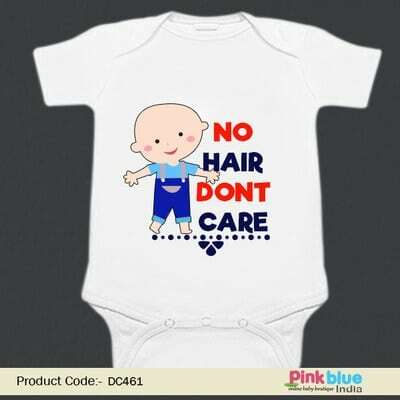 Custom newborn baby onesies, bodysuits and rompers set of bodysuits are some of the most promising baby’s first hair removal ceremony gifts to take along. Toys also make a wonderful present for the little ones. Story books are also loved by children and make a good gift. If you wish to gift something expensive then utensils in silver or a jewellery piece in gold can also be a memorable mundan gift. Sweets and candies, dry fruits and chocolates are some popular choices of mundan ceremony return gifts that bring an instant smile on faces. 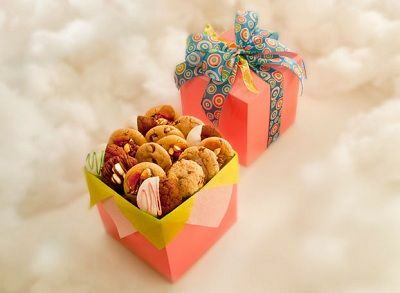 You can even have hampers made with cookies and other goodies like candles, fragrances and other sweet delights. Make sure whatever you gift, you add a personal touch using the packing or a tag which makes your Head Tonsuring ceremony return gift a special one. These are some of the choices of what clothes to have your babies dressed in for mundan ceremony along with what gifts to present to your guests to help you plan this ritual with ease and creativity.